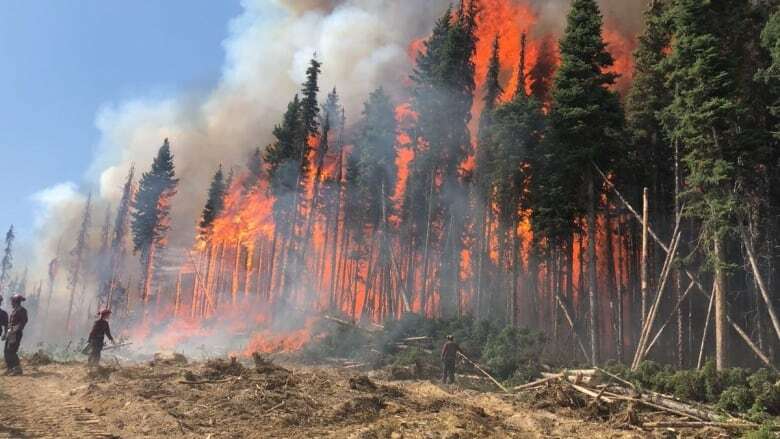 In the wake of two record-breaking wildfire seasons in B.C., the provincial government is increasing the budget for wildfire management by 58 per cent to $101 million. After back-to-back years of record-breaking wildfire seasons in British Columbia, the province is preparing for the 2019 season by increasing fire prevention programs and funding. On Tuesday afternoon, Doug Donaldson, Minister of Forests, Lands, Natural Resource Operations and Rural Development, announced the government is increasing funding for wildfire management by 58 per cent to $101 million annually. The additional funding will help the B.C. Wildfire Service with its fire response capabilities, according to Donaldson. It will be used to help reduce wildfire risks in affected communities and to pay for more crews and equipment. In 2018, more than 13,000 square kilometres of the province was burned, surpassing the 2017 record of 12,161 square kilometres. In 2018, the province established a $50 million Community Resiliency Investment program to help at-risk communities. Increasing to $60 million this year, the program will be used to help local governments and First Nations reduce wildfire risks in their regions. New technology, including night vision goggles to help with early fire detection and response, will be piloted this summer. There are also plans to enhance aerial firefighting by lengthening the contract times for aircraft used to combat wildfires. The B.C. government is also increasing funding for the Forest Carbon Initiative by $13 million over the next three years, allowing it to take advantage of matching funding from the federal government. According to the forestry ministry, this funding is in addition to the $235 million already provided to the Forest Enhancement Society of B.C. Money from the Forest Carbon Initiative is used for reforestation and restoration initiatives that help reduce wildfire risks and capture carbon. Donaldson says the 2019 funding increases will put "more boots on the ground now" but that this is only a start, and British Columbians can expect more updates before summertime.